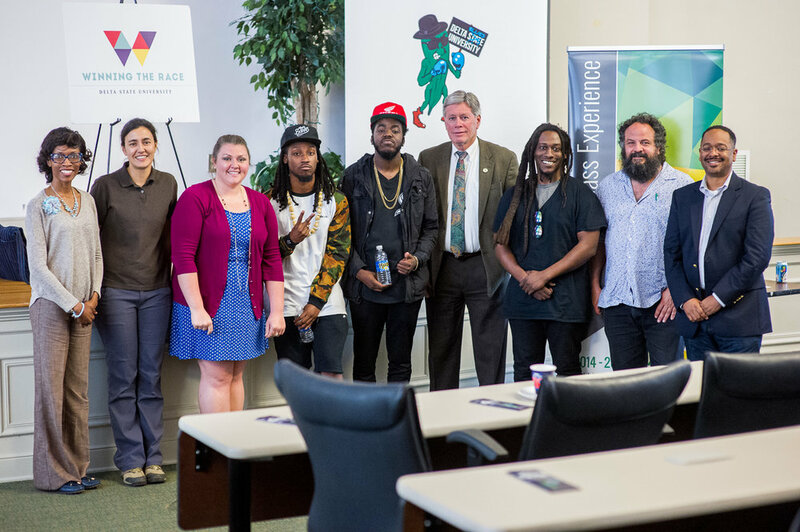 The Office of Student Life, Quality Enhancement Plan, the International Delta Blues Project, the Delta Center for Culture and Learning, and the Delta Music Institute partnered on April 11 to host Southern hip-hop artists and social activists Marco Pavé and Alfred Banks for two events open to the Delta State community and public. These events were part of the sustainability mission of Delta State’s annual Winning the Race Conference. Scott Barretta from the International Delta Blues Project moderated a lunch panel featuring Pavé and Alfred Banks. The discussion centered on the intersections of music, social justice and activism, as well as music entrepreneurship, the creative economy and regional musical influences. Later that afternoon Pavé and Banks performed a casual, lounge-style concert in the Union. Pavé, a Memphis native, and Banks, from New Orleans, have built solid followings in and around their respective cities and beyond. Pavé has been featured on Apple music, MTV, The Root and has delivered a Ted Talk on arts entrepreneurship. Banks has been featured on RevoltTv, BBC Russia, on several national tours, and has a song featured in a Volkswagen commercial. On their own, they both have viable careers, but in the summer of 2016 they decided to join forces and tour together through the River Kings Tour. Their 2016 efforts were so successful that round two will be an 18-city tour. 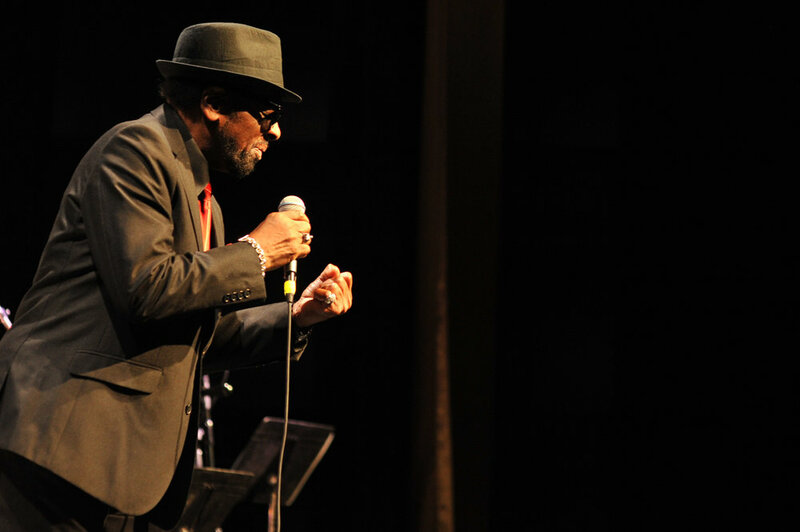 William Bell acknowledges the audience for their standing ovation following his performance. The Delta Center's International Delta Blues Project at Delta State University recently partnered with GRAMMY Museum Mississippi to present a free, public event of educational film and live music. The "Take Me to the River" community film screening is one of several Blues Leadership Incubator events that have been offered by the International Delta Blues Project. Blues Leadership Incubator events focus on economic opportunity related to Blues education and tourism in the Mississippi Delta. These events are free and open to the public through a generous grant from the Robert M. Hearin Support Foundation. 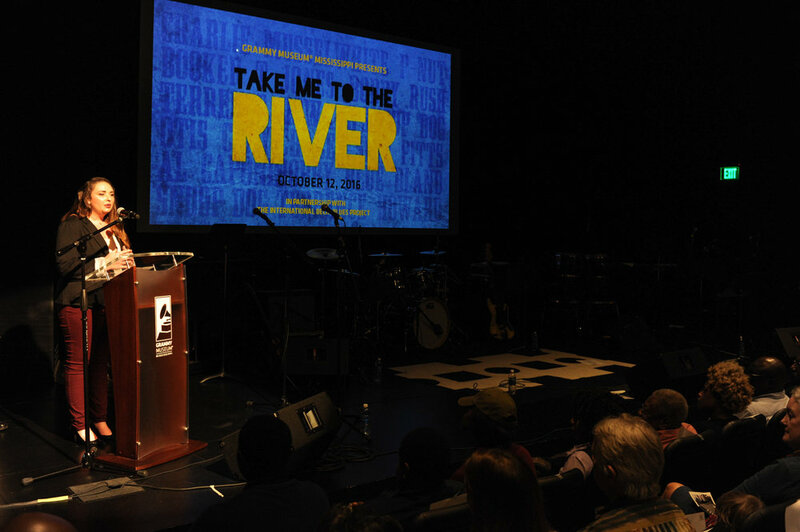 Nearly 150 guests from throughout the Mississippi Delta gathered at GRAMMY Museum Mississippi to see a 45-minute version of the critically-acclaimed documentary “Take Me to the River,” produced by Martin Shore and created at historic Royal Studios in Memphis. The film brings multiple generations of award-winning Memphis and Mississippi Delta musicians together, following them through the creative process of recording an historic new album. “Take Me To The River” features Terrence Howard, William Bell, Snoop Dog, Mavis Staples, Otis Clay, Lil P-Nut, Charlie Musselwhite, Bobby "Blue" Bland, Yo Gotti, Bobby Rush, Frayser Boy, The North Mississippi Allstars and many more. After viewing “Take Me to the River," the crowd enjoyed live performances from The Hi Rhythm section (featuring Charles and Leroy Hodges), Stax Music Academy Alumni Band, William Bell, Frayser Boy, Al Kapone, and GRAMMY winner Lawrence “Boo” Mitchell, owner of Royal Studios. Boo Mitchell recently served as keynote speaker for Delta State's International Conference on the Blues during a Blues Brunch held at GRAMMY Museum Mississippi. According to Frayser Boy, an Academy Award winner for Best Original Song, these performances are as much about education as they are entertainment. Attendees linger in the lobby of the museum and visit with the musicians following the performance. To underscore the educational emphasis of the event, the Mississippi Delta National Heritage Area was invited to open the program with oral history documentaries created by students from Delta Hands for Hope of Shaw, MS, and the Rosedale Freedom Project of Rosedale, MS. The students attended after-school workshops learning film and oral history skills through a grant from the Mississippi Delta National Heritage Area. The students interviewed and photographed Mississippi Delta residents to learn how music has influenced their lives. The mission of The Delta Center is to promote greater understanding of Mississippi Delta culture and history and its significance to the world through education, partnerships and community engagement. The Delta Center serves as the management entity of the Mississippi Delta National Heritage Area and is the home of the International Delta Blues Project and the National Endowment for the Humanities “Most Southern Place On Earth” workshops. For more information, visit http://deltacenterdsu.com/. The mission of The Delta Center is to promote greater understanding of Mississippi Delta culture and history and its significance to the world through education, partnerships and community engagement. The Delta Center serves as the management entity of the Mississippi Delta National Heritage Area and is the home of the National Endowment for the Humanities “Most Southern Place on Earth” workshop and the International Delta Blues Project. For more information, visit http://www.deltacenterdsu.com. Registration for the program is currently open and will last until May 15. Tuition assistance is available for qualifying students. Scott Barretta discusses the early years of Muddy Waters' career. To view the entire presentation, click here. The Delta Center for Culture and Learning at Delta State University will present a First Tuesday session focused on the International Delta Blues Project on March 15 at 12:10 p.m. in the Fielding Wright Art Center. The session will have a special focus on the Blues Studies program that has launched at Delta State. First Tuesday guests will be treated to a lecture from renowned Blues historian Scott Barretta, host of Highway 61 Radio and recipient of the 2016 Mississippi’s Governor’s Award for Excellence in the Arts for Mississippi heritage. Barretta will teach the Sociology of the Blues course for the International Blues Scholars Program, a new online undergraduate and graduate certificate in Blues Studies that is being offered during the 2016 summer session. The online program will be available to Blues students and aficionados around the world. The interdisciplinary Blues Studies program that includes courses offered through various academic units at Delta State including music, languages and literature, social sciences and history, and the Delta Music Institute. The International Conference on the Blues, an educational and cultural conference that has featured renowned and emerging Blues scholars, as well as award-winning Blues musicians. The Blues Leadership Incubator, a series of lectures and workshops for the public and business community aimed at providing a deeper understanding of economic opportunity related to Blues tourism and the creative economy. First Tuesday is sponsored by the College of Arts and Sciences and is a program by the Art Department and the First Tuesday Committee. 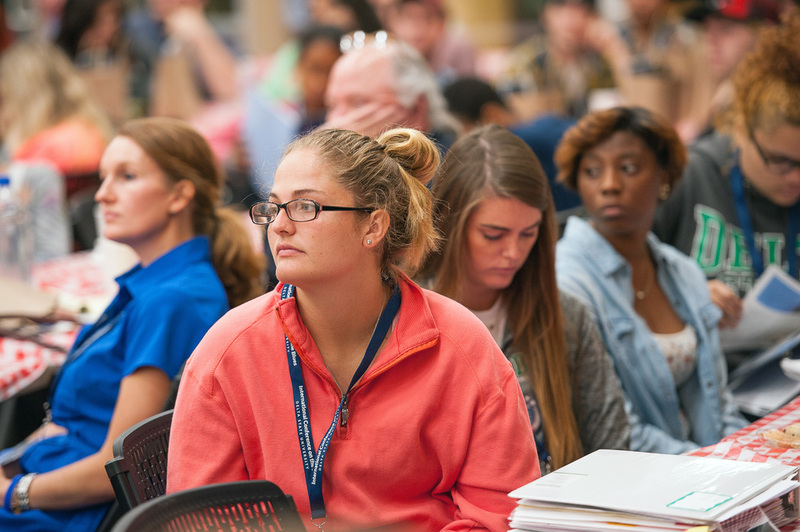 The events are normally scheduled for the first Tuesday of each month during the fall and spring semesters. First Tuesday features lectures, readings and presentations representing diverse perspectives in the arts and humanities. All events are free and open to the public. The mission of The Delta Center is to promote greater understanding of Mississippi Delta culture and history and its significance to the world through education, partnerships and community engagement. The Delta Center serves as the management entity of the MDNHA and is the home of the International Delta Blues Project and the National Endowment for the Humanities “Most Southern Place on Earth” workshops. For more information, visit www.deltacenterdsu.com. Dr. William Ferris, a widely recognized leader in Southern studies, African American music, and folklore, delivers the keynote address at the second annual International Conference on the Blues Monday at Delta State University. Ferris the Joel R. Williamson Eminent Professor of History at the University of North Carolina at Chapel Hill and the senior associate director of UNC’s Center for the Study of the American South. He is also adjunct professor in the curriculum on folklore. The conference continues Tuesday, ending with a free concert featuring Bobby Rush and James “Super Chikan” Johnson. For more information, visit www.deltastate.edu/blues. As part of the Blues Incubator programming, a Panel Discussion with the Mississippi Blues Commission occurred during the International Conference on the Blues. Introductions were made by Dr. Rolando Herts, Director of the Delta Center for Culture and Learning and the panel was moderated by Dr. William Ferris, former Director of the National Endowment for the Humanities and current Joel R. Williamson Eminent Professor of History at the University of North Carolina as well as the senior associate director of UNC's Center for the Study of the American South. Panel members were musicians James "Super Chikan" Johnson and Bobby Rush, as well as Mississippi Blues Commission representatives Bob Arentson, Wanda Clark, Mary Margaret Miller, J. Kempf Poole, and Edgar E. Smith. GRAMMY Award nominee Bobby Rush (left) and James “Super Chikan” Johnson will be featured in a free concert at the Bologna Performing Arts Center on Oct. 6 at 7 p.m.
Blues legends Bobby Rush and James “Super Chikan” Johnson have teamed up to perform a free concert at Delta State University’s Bologna Performing Arts Center on Oct.6. Doors will open at 6:30 p.m, and the concert will begin at 7 p.m. The event, “The Storytellers featuring Bobby Rush and Super Chikan: Up Close and Personal,” will be the closing activity for Delta State’s second annual International Conference on the Blues, which is part of the institution’s International Delta Blues Project. The concert is free and open to the public through sponsorship from the IDBP and the BPAC. “Storytellers” is a stripped-down concert format that invites music lovers of all ages and backgrounds to experience two renowned blues artists singing and telling stories about their lives, careers, the blues and the Mississippi Delta in distinctly personal ways. “This concert is about telling where I come from and where my people come from — the Mississippi Delta,” said Rush. “It is about sharing my life and the lives of people who came before me. It’s about impacting the lives of those who are coming after me. Dr. Rolando Herts, director of The Delta Center for Culture and Learning, is thrilled to bring the talented musicians to campus. The “Storytellers” concert is featured on the live music performance schedule for the Bridging the Blues Festival, an annual series of September and October events across Mississippi, Arkansas and Tennessee celebrating the rich music and culture of the region. 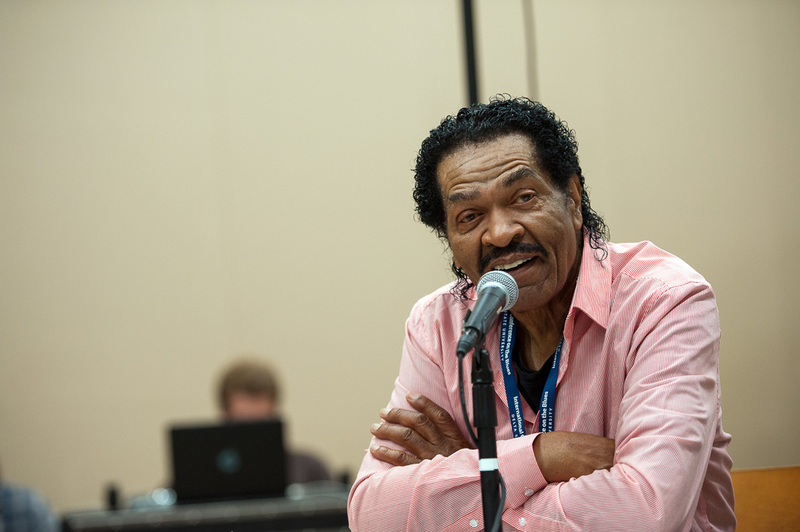 A GRAMMY Award nominee, Bobby Rush is the winner of multiple Blues Music Awards including Soul Blues Album of the Year, Acoustic Album of the Year and Soul Blues Male Artist of the Year. Rolling Stone magazine named him “The King of the Chitlin’ Circuit,” a distinguished African American cultural heritage designation that pays homage to the Southern network of clubs, theaters, halls and juke joints that catered to black audiences during the racially segregated Jim Crow Era. Rush has recorded over 100 albums in his more than 60-year career. He continues to perform over 200 shows a year from Mississippi to Japan and headlines major festivals and concerts for upwards of 20,000 people a night. 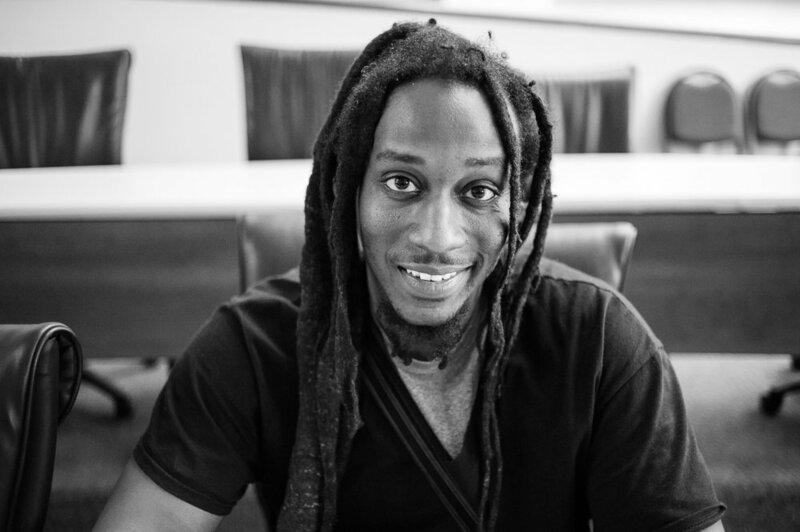 James “Super Chikan” Johnson is the recipient of the Mississippi’s Governors Award for Excellence in the Arts and the recipient of the prestigious Artist Fellowship from the Mississippi Arts Commission. He is a native of Darling, Miss., a rural Mississippi Delta community located in Quitman County. As a boy growing up in the country, he was fascinated by his family’s chickens, thus earning him the nickname “Chicken.” His critically acclaimed debut album, “Blues Come Home to Roost,” featured songs about humorous and serious aspects of life in the Mississippi Delta. The album earned him awards for Best Blues Album and Best Debut Album from the 1998 Living Blues Magazine Awards. For more information about the “Storytellers” concert, visit http://bolognapac.com/events/the-storytellers-featuring-bobby-rush-and-super-chikan-up-close-and-personal/. For over 21 years, the Bologna Performing Arts Center at Delta State University has been bringing together artists and audiences to celebrate the arts and enrich the cultural life of the Delta community. For more information on upcoming performances, visit www.bolognapac.com. The Mississippi Blues Commission has designated music legend B.B. King as Mississippi’s Secretary of State of the Blues. One of the most renowned musicians in the world, King passed away in May of 2015. Mississippi is the first and only state to recognize the contributions of a musician in this manner. The commission will be presenting the B.B. King Museum and Delta Interpretive Center with a resolution for this recognition signed by Gov. Phil Bryant and the four living previous governors of Mississippi: Gov. William F. Winter, 1984-1988; Gov. Ray Mabus, 1988-1992; Gov. Ronnie Musgrove, 2000-2004; and Gov. Haley Barbour, 2004-2012. The resolution will be part of the permanent collection at the B.B. King Museum & Interpretive Center in Indianola, Miss. The resolution will be presented at the International Conference on the Blues at Delta State University in Cleveland, Miss. The conference, presented by the International Delta Blues Project and a diverse array of regional partners, includes a Blues Brunch featuring a panel discussion moderated by noted blues scholar Dr. William Ferris and comprised of members of the Mississippi Blues Commission. Blues legends Bobby Rush and James “Super Chikan” Johnson will also be in attendance. The presentation of the resolution will take place during the conference’s brunch event on Oct. 6 at 9:30 a.m. in the Delta Music Institute on Delta State’s campus. During the 1990s, he was awarded a National Heritage Fellowship from the National Endowment for the Arts, the National Medal of Arts, and the Kennedy Center Honors. During the 2000s, the Royal Swedish Academy of Music awarded him the Polar Music Prize, and President George W. Bush awarded him the Presidential Medal of Freedom. A recipient of honorary doctorate degrees from Tougaloo College, Yale University and Brown University, King was ranked by Rolling Stone magazine as No. 6 on its 2011 list of the 100 greatest guitarists of all time. Former Gov. Haley Barbour echoed Bryant’s sentiments. An emotional King is surrounded by Mississippi legislators in Jackson, Miss. as he is presented with a concurrent resolution naming Feb. 15, 2005, as B.B. King Day. The Mississippi Blues Commission is a body of 18 appointed commissioners representing major organizations and geographic/political regions supporting blues initiatives throughout the state. One of the commission’s major projects is ongoing governance of the Mississippi Blues Trail, which began unofficially with two preliminary markers placed in Indianola, which King adopted as his hometown. Highlighting the importance of his contributions, the first marker was placed at a corner where King played as a young man. The other was placed at historic Club Ebony, which is now part of the B.B. King Museum and Delta Interpretive Center. Continuous expansion of the Mississippi Blues Trail throughout the state, country and the world is a testament to the global influence of blues music and culture. The Mississippi Blues Trail consists of more than 170 markers throughout the state. There also are 14 out-of-state Blues Trail markers, two of which are located outside of the U.S. — one in Norway, commemorating the Notodden Blues Festival, and the other in France, commemorating the Cahors Blues Festival. The Mississippi Blues Trail has been made possible by grants from the National Endowment for the Arts, National Endowment for the Humanities, Mississippi Department of Transportation, the Federal Highway Administration, AT&T, and the Delta Center for Culture and Learning at Delta State University. The program is housed within and managed by the Mississippi Development Authority’s Visit Mississippi. For more information, contact Mary Margaret Miller, bureau manager for Creative Economy & Culture at Visit Mississippi, at mmmiller@mississippi.org or 601-213-7300. Roger Stolle will present a lecture on blues entrepreneurship and the Mississippi Delta’s creative economy as part of Delta State University’s International Conference on the Blues Oct. 1 at 5:30 p.m. at the Coahoma County Higher Education Center. Roger Stolle, owner of Cat Head Delta Blues & Folk Art in Clarksdale, Miss,, will present a lecture on blues entrepreneurship and the Mississippi Delta’s creative economy as part of Delta State University’s International Conference on the Blues. The pre-conference lecture event will take place Oct. 1 at 5:30 p.m. at the Coahoma County Higher Education Center, a Delta State satellite campus located at 109 Clark St. in Clarksdale. The lecture is free and open to the public through a partnership between CCHEC and The Delta Center for Culture and Learning, which is the home of the International Delta Blues Project. The International Delta Blues Project features three components: the International Conference on the Blues, which will take place at Delta State’s main campus in Cleveland on Oct. 5-6; the Blues Studies minor, which has launched this fall semester at Delta State; and the Blues Leadership Incubator, which focuses on blues and economic development. Stolle’s lecture represents one in a series of lectures and workshops that are part of the Blues Leadership Incubator. These lectures and workshops are designed to provide the public with a deeper understanding of the Mississippi Delta’s creative economy. After a successful 13-year marketing career in corporate America, Stolle moved to Clarksdale in 2002 to “organize and promote the blues from within.” He is the author of the book “Hidden History of Mississippi Blues” and co-producer of the films “M for Mississippi” and “We Juke Up in Here.” He co-founded several Clarksdale based music and cultural festivals including the Juke Joint Festival, the Clarksdale Film Festival, the Clarksdale Caravan Music Fest, and the Delta Busking Festival. He is also the recipient of the Keeping The Blues Alive Award and the Blues Music Award from the Blues Foundation. Don Allan Mitchell, co-chair of the blues conference, and a Delta State professor, is excited to add Stolle to the conference schedule. In addition to catalyzing Clarksdale’s revitalization through blues music and culture, Stolle is a highly sought after marketing, public relations, and artist booking expert both locally and globally. He has worked with a wide array of clients including the Mississippi Blues Trail, and many blues record labels, festivals, and non-profit organizations. He has also booked Mississippi bluesmen on numerous festivals and tours — taking Delta legends such as Big George Brock, James “T-Model” Ford and Robert “Bilbo” Walker to countries like Italy, Switzerland, the UK, France, the Netherlands, Norway and Brazil. To register for attendance at Stolle’s lecture and for more information, contact Jen Waller via email at jwaller@deltastate.edu or phone at 662-645-3555. To register for the International Conference on the Blues, visit the conference website at http://www.deltastate.edu/president/international-blues-conference/. Performer Dorothy Moore wows the crowd at the "Blues Got A Soul" Technology Conference sponsored by the Jus Blues Music Foundation on July 31 at the Horseshoe Casino & Hotel in Tunica, Miss. Dr. Rolando Herts, director of The Delta Center for Culture and Learning, recently gave a presentation at the “Blues Got A Soul” Technology Conference sponsored by the Jus Blues Music Foundation. The conference was held July 31, at the Horseshoe Casino & Hotel in Tunica, Miss. The purpose of the conference was to share information, resources and emerging opportunities related to the blues music industry. Herts’ presentation, titled “Blues in the Delta: Tourism, Education, and the Creative Economy,” provided an overview of The Delta Center’s work with the International Delta Blues Project, the Mississippi Blues Commission and the Mississippi Delta National Heritage Area. “I invited Dr. Herts to present at the conference because people in the blues industry need to know about the important work that The Delta Center and Delta State University are doing,” said Charles Mitchell, director of the Jus Blues Music Foundation. “Dr. Herts talked about Delta State’s International Conference on the Blues that is coming up in October. He also talked about the Mississippi Blues Trail and the Benevolent Fund that provides support to musicians who have kept the blues alive. Conference presenters included (l to r) Jonathan Mason; Allen Johnston; professor Sandra “SANA” Foster; Charles Mitchell, director of the Jus Blues Foundation; Dr. Rolando Herts; and Rojene Bailey. Other topics discussed at the conference included legal concerns for musicians, international opportunities for blues artists, blues radio syndication formats, and history and social healing purposes of the blues. Presenters included professor Sandra “SANA” Foster of Clark Atlanta University, entertainment attorney Jonathan Mason, radio personality Rojene Bailey and music business expert Allen Johnston. 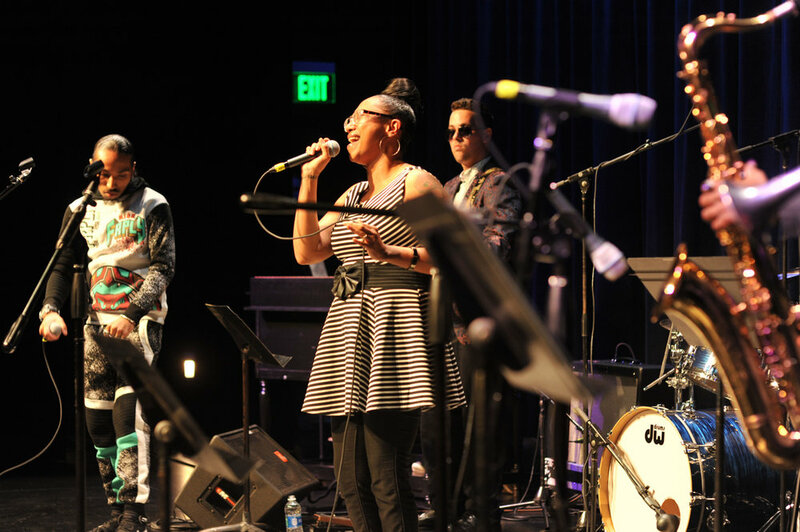 The conference was held in conjunction with the 15th annual Jus’ Blues Music Awards held at Bluesville, a state-of-the-art performance venue inside the Horseshoe Casino & Hotel. The event honored important blues and soul artists and music professionals who have contributed much of their lives to advancing and promoting blues music and culture. Honorees included Kenny Neal, Betty Wright, Fred Wesley, Lucky Peterson, Martha High and Vaneese Thomas, daughter of Stax Records legend, Rufus Thomas. Also, various artists performed, including 16-year-old Mississippi Delta-based Christone “Kingfish” Ingram, who recently played for President Obama and the First Lady at the White House. The mission of The Delta Center is to promote greater understanding of Mississippi Delta culture and history and its significance to the world through education, partnerships and community engagement. The Delta Center serves as the management entity of the MDNHA and is the home of the National Endowment for the Humanities “Most Southern Place on Earth” workshop and the International Delta Blues Project. For more information, visit http://www.deltastate.edu/academics/delta-center-for-culture-and-learning/. The Mississippi Delta National Heritage Area is a partnership between the people of the Mississippi Delta and the National Park Service. The MDNHA was designated by U.S. Congress in 2009 and is governed by a board of directors representing agencies and organizations defined in the congressional legislation. More information about the MDNHA, including the complete approved management plan, is available at http://www.msdeltaheritage.com. Dr. Ann Markusen, director of the Arts Economy Initiative and the Project on Regional and Industrial Economics at the University of Minnesota's Humphrey School of Public Affairs, will facilitate a Lunch and Learn community session at the Coahoma County Higher Education Center in Clarksdale as part of the Winning the Race conference. Dr. Ann Markusen, director of the Arts Economy Initiative and the Project on Regional and Industrial Economics at the University of Minnesota’s Humphrey School of Public Affairs, will facilitate a Lunch and Learn community session in Clarksdale as part of the Winning the Race conference at Delta State University. As part of Delta State University’s engagement with the Mississippi Delta region, the institution’s Winning the Race conference has invited Markusen to speak at a pre-conference event March 30 from 10 a.m.-1 p.m. at the Coahoma County Higher Education Center, a Delta State satellite campus located at 109 Clark Street in Clarksdale. The free session is open to the public with joint sponsorship from the city of Clarksdale, the Coahoma County Tourism Commission, Clarksdale Revitalization, Inc., Crossroads Cultural Arts Center and the International Delta Blues Project at The Delta Center for Culture and Learning at Delta State University. To register for attendance, contact The Delta Center via email at hmiller@deltastate.edu or by phone at (662) 846-4311. Markusen will also present two sessions on creative placemaking and the creative economy during the Winning the Race conference at Delta State on March 31. One of the sessions will focus on Clarksdale. In 2014, Clarksdale Revitalization, Inc. received a highly competitive $350,000 grant from ArtPlace to create the Crossroads Cultural Arts Center. The center will preserve the region’s rich history of art, writing and music, with a focus on African American contributions to the arts. Plans for the center include an art gallery, as well as performance and retail spaces. Clarksdale Mayor Bill Luckett is looking forward to hosting the experienced lecturer. Markusen is principal of Markusen Economic Research and is professor emerita and director of the Project on Regional and Industrial Economics and its Arts Economy Initiative at the University of Minnesota’s Humphrey Institute of Public Affairs. She holds a foreign service bachelor’s degree from Georgetown University and a master’s and doctorate in economics from Michigan State University. She has taught at Colorado, California Berkeley, Northwestern and Rutgers universities. The Lunch and Learn event also will serve as an inaugural workshop for the Blues Leadership Incubator under Delta State University’s International Delta Blues Project, which is funded by the Hearin Foundation. The Blues Leadership Incubator is a series of workshops and seminars designed to build awareness of opportunities for Delta residents to engage with the creative economy. Follow all Winning the Race conference updates at http://www.deltastate.edu/winning-the-race/.